This private, full-day tour of St. Petersburg's key attractions is idea for first-time visitors who want an overview of the city. Your guide picks you up in a comfortable, air-conditioned vehicle to head out to view some of the most historic sights, including St. Isaac's Cathedral, Church of the Spilled Blood, and Nevsky Prospect. 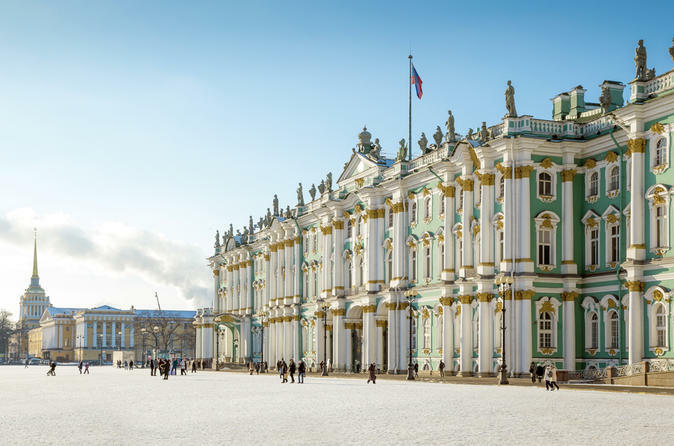 After a stop for lunch at your own expense, get a guided tour of the State Hermitage Museum, the second largest museum in the world. You are returned to your hotel at the end of this excursion.